2.Likely source of ozone destructive bromines originating in the stratosphere. "Most of this generation may find it difficult to fathom a time when warming the entire planet was widely accepted as a worthy geoengineering project. But the media successfully stuffed this history down the memory hole along with seventy years of similar proposals to warm the Arctic for access to oil. Media propaganda began to publicly demonize global warming with loud reporting about the scary prospect of high levels of CO2 discovered by oceanographer, Roger Revelle. The media stopped reporting on Wexler’s geoengineering plans to warm the planet and disingenuously began reporting that CO2 was a danger because it would cause global warming – the very outcome that had been envisioned as benign and welcome only the week before, and for 70 years prior to that. This is one giant example of how the media can lead the public and even the scientific community by the nose to forget the immediate past to “believe” in almost any new and trendy agenda – even when it severely contradicts decades of established historical precedent. Meanwhile, in 1966, the military and nearly all federal agencies took on covert National Weather Modification experiments that, today, will achieve man-made global warming and arctic ice melts using geoengineering aerosols and an arsenal of networked Tesla, microwave and scalar devices now installed all over the planet. 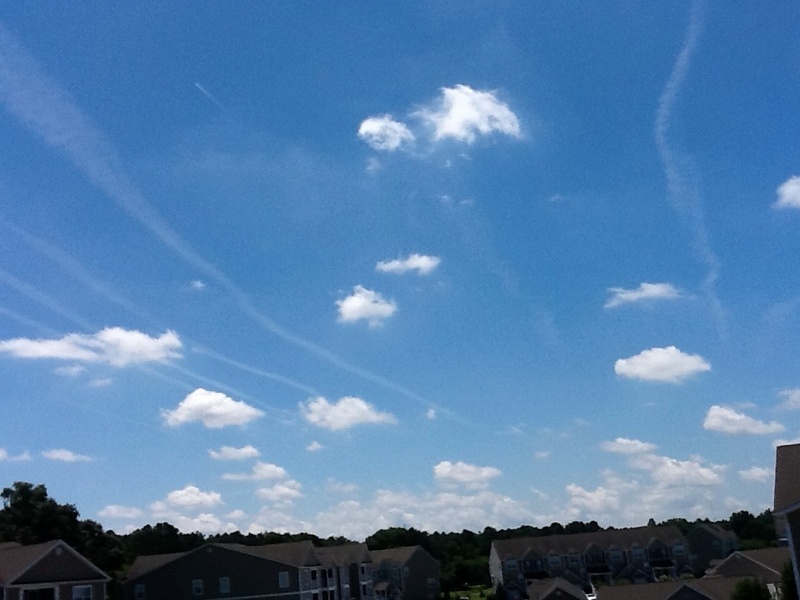 For the past three or four days here in the southeast of the US, we have had blue, clear, chemtrail-free skies. It's a bit odd. I'm not sure the last time I have ever seen this many chemtrail-free days. I reported that info from Fulford and was told that it will be dealt with ASAP. Jean, I’m a bit confused. This title is sensationalistic. I checked the 3 persons mentioned and two were killed in the early 2000?s and one last Nov. The November death was due to Mexican drug gangs. I’ve also checked to see if Dane Wigington was killed which thankfully, I cannot find any mention of same. No question we need to find out who is behind chemtrails and how to stop it, but why the bang on, fearsome title of this? WE are under ATTACK! Chemtrails are releasing poisons all over the Earth! "At the 2013 Atlanta Music Liberty Fest, Kristen Meghan, former Air Force Bio-Environmental Engineer gave a ground breaking presentation of what she had discovered about Chemtrails while serving her Country. This BRAVE young lady has put her livelihood / life on the line for U.S. Please take a minute to thank her and help U.S. by redistributing this Video and any other VALID information about Chemtrails to as many people as you can! This is a GLOBAL issue, other countries must get this information as well. "they" are spraying the majority of the population... Why?" I think they have a reason LoneStarr but doubt that we will ever learn what that real reason is. They certainly wont tell us, but perhaps if we are lucky 'someone/thing' else will. A hint may be found in language, though. If you remove all negations from a message you get through to the essential point in question. "No, I did not have sexual relations with that woman..."
"We are taking care not to hurt anyone in the process..."
"Move along. Nothing to see here..."
"Chemtrail/geoengineering is nothing to worry about..."
"I'm sorry Mr./Mme. Speaker, I do not recollect..."
Go to the link to view the video, its 15 mins of your time. I have never seen this video before nor have i seen some of the Cloud formations, the sounds ; some i have heard, and one in particular i have personally listened to in my area. This is a Re-Cap of past events but also of ongoing sabotage of our Earth. For those of you who have little understanding ! The information contained within this video will help you understand & give you some idea of what is going on around you and that of possible future events. Disclaimer ; True or not its an idea, just information. 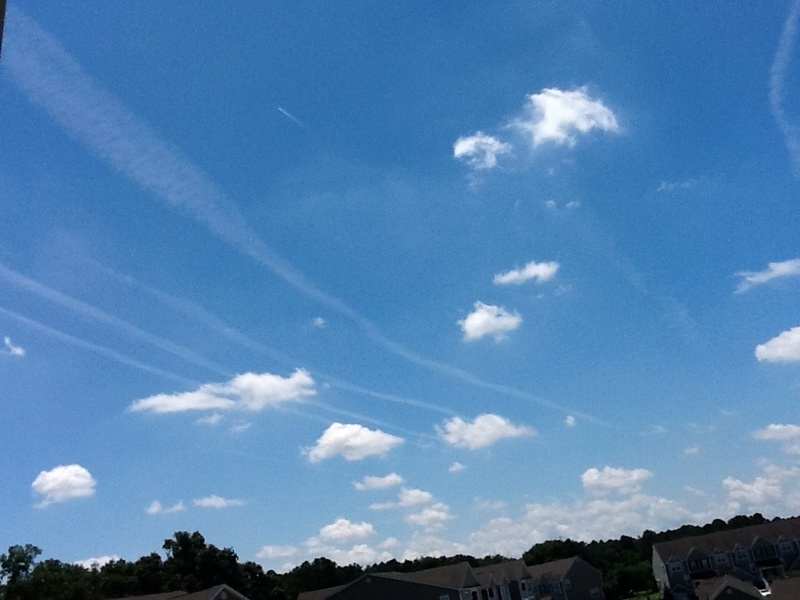 United States Army Spraying Chemtrails on People ====? "They pretend that chemtrailing the atmosphere is to combat global warming by reflecting more sun, and global dimming is one measurable data point, but like venus, the darkening atmosphere holds in more heat at night then it reflects away in daylight. Much more, in fact geoengineering is the cause of runaway global warming risking extermination level methane release. Extinction Level Methane Release being caused by Geoengineering-"
Breezy i wonder if there is any connection of methane reléase and Bezerk. Plus no one knows what the heck the Russians are doing in the Artic about the frozen methane pockets melting!?! We will be hearing more and more about methane in the future i am afraid. Now THAT, my dear friend, is opening a whole new can of worms by TPTB. Because it's easier to wake something up by mere stupidity than to put it back to sleep with all the scientists put together (and not killing the entire human race in the process). H.A.A.R.P. CLOUDS BEFORE THE JAPAN QUAKE! ABSOLUTE PROOF H.A.A.R.P. WAS USED!!! Video footage taken by a Federal Express commercial airline pilot, the tankers didn't appear on the Fed-Ex aircraft avoidance system....in other words they were "Ghost Planes"
The FedEx Aircraft was on a dangerous collision heading with what appears to be two tankers. Vertical separation under 2,000 feet. "... FedEx 5034 with request"
"... FedEx 5034 is requesting flight level '340' (34,000 feet)"
FedEx 5034 descends to 34,000 feet only to discover a third tanker at that altitude. Conclusion: tankers were operating at civilian altitude with transponder off. The control tower had no idea the Air Force tankers existed and no radar system was available to warn the FedEx pilot of danger. Please share the video to create awareness of the chemtrail phenomena, I'm amazed by the number of people who still beleive chemtrails are normal jet 'contrails' (condensation trails.)" Every Monday here in Delmar, Maryland... And the best part is the plane for comparison. The power, reach and influence of the Central Intelligence Agency is a staple of conspiracy theories. The news that the CIA is reportedly part-funding a scientific geoengineering study into how to control the weather is unlikely to dampen speculation over their activities. According to US website 'Mother Jones' the CIA is helping fund a study by the National Academy of Sciences (NAS) that will investigate whether humans could use geoengineering - which is defined as deliberate and large-scale intervention in the Earth's climatic system - to stop climate change. "Much speculation has surrounded claims that the US government has long been involved in types of weather manipulation, including a much-discussed attempt to cloud-seed - the process of dispersing substances into the air to create cloud condensation or ice nuclei and subsequently rain or snow - during the Vietnam war. Didn't we just in the last day or so see/read articles about spidery webs all over in Texas? At 23 minutes into this video is some very interesting information about what that might be, and it is not spiders migrating. Sometimes I wonder just how long they will get away with murder. Just another mechanism to make sure no-one speaks out, but you know what, this will not stop people speaking truth, no matter how many they kill for it. Principles and integrity of the human spirit will defeat them. This to me is very significant. Evergreen Air is the CIA company that has been laying chemtrails all over the Valley of the Sun here in Arizona, and no doubt other places, as well. For an airline to shut down so suddenly—less than a month’s notice, effective Nov. 29th—is unheard of, isn’t it? And they won’t return calls from the press? Was their insolvency because the cabal is broke and couldn’t pay Evergreen employees—because they went bust at the casino? I will give the following link, it has a history of Evergreen International Air that is from Wikipedia and other info. If anyone can prove this bogus, I will remove this post. this is the one with the history of EIA, going back many years.